When choosing the dental practice that’s right for your family, one of your top considerations is probably the range of skill and expertise of the dentist and team. At Waterloo Dental Associates, we offer a wealth of services to make it easier to get the complete care your family needs in one convenient and welcoming location. 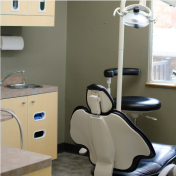 As a patient of our Waterloo dental office, you’ll be able to easily access the services you need. Simply call or email to schedule an appointment or consultation. Dr. Aldrich is your provider for routine examinations, restorative care, and cosmetic treatments to enhance the beauty of your smile. 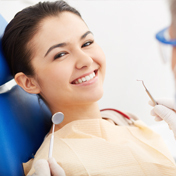 Your cleanings will be performed by our skilled team of dental hygienists, who take the time to thoroughly clean plaque and tartar from your teeth and help you develop a good home health care routine. We are happy to treat your entire family at Waterloo Dental Associates, and we understand the unique needs of every stage of life. When your entire family is seen at the same office, scheduling appointments becomes simpler and more convenient. We can work with you to schedule your appointment to fit your busy lifestyle. 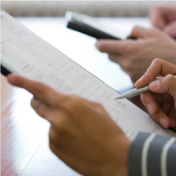 Because we realize that cost is always a consideration, we offer a number of solutions. 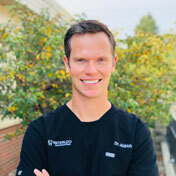 We accept most dental insurance plans, and Dr. Aldrich is a preferred provider for Delta Dental. If you do not have dental insurance or your treatment isn’t fully covered, we can discuss payment plans to help make your dental care more affordable. Dental care is an important part of your family’s overall healthcare plan. If you need help making your care a priority, give us a call so that we can help you find solutions. We want to be your family’s partners in care. Your smile is a memorable part of who you are and a key part of every first impression. Does yours need some help to look its best? 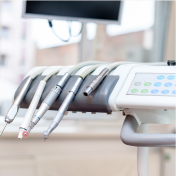 Dr. Aldrich is skilled in numerous advanced procedures, including dental implant placement and restoration, wisdom tooth extraction, root canal therapy, and much more. Whether you have one troublesome tooth or you’re in need of a full smile makeover, call to schedule an evaluation so that we can create your individualized treatment plan. Cosmetic dentistry allows us to improve the aesthetics of your smile with customized treatments designed to make your smile attractive and restore your confidence and enhance your self-esteem. If you’d like to improve the appearance of your smile using veneers or another cosmetic dentistry treatment, please call to schedule a cosmetic consultation with Dr. Aldrich. Are you a current valued patient? Or are you looking for a new practice to call home? We can’t wait to sit down with you, get to know you, and learn the best ways that we can help you. Call our Waterloo dental practice at (319) 233-3506 or request an appointment using our convenient online form, found on our Contact page.